Increase your filter’s processing capacity with Shinsuke’s Filter Sand. 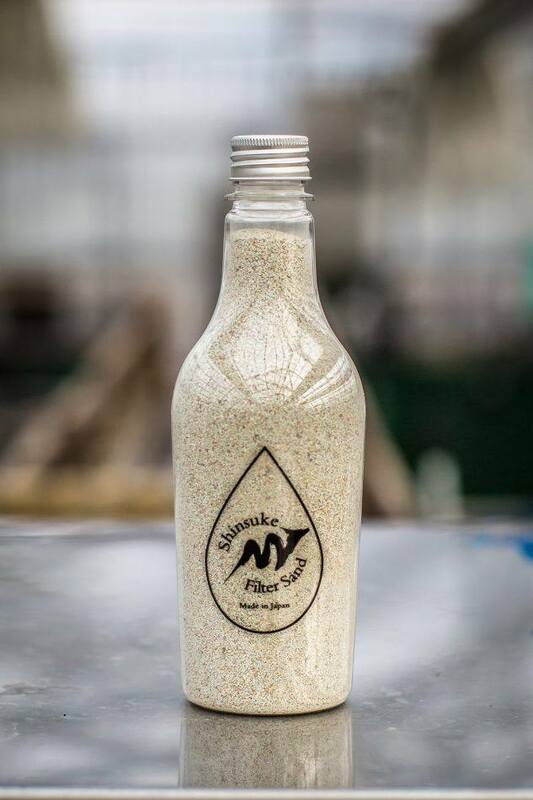 Using a proprietary blend of beneficial bacteria, Filter Sand creates an environment comparable to the famed mud ponds of Japan, allowing your koi to develop greater color and health. This monthly filter additive can help stabilize your pond’s pH, and boost organic material breakdown, giving you the clean, beautiful pond you’ve always wanted. The key to a healthy pond is beneficial bacteria. 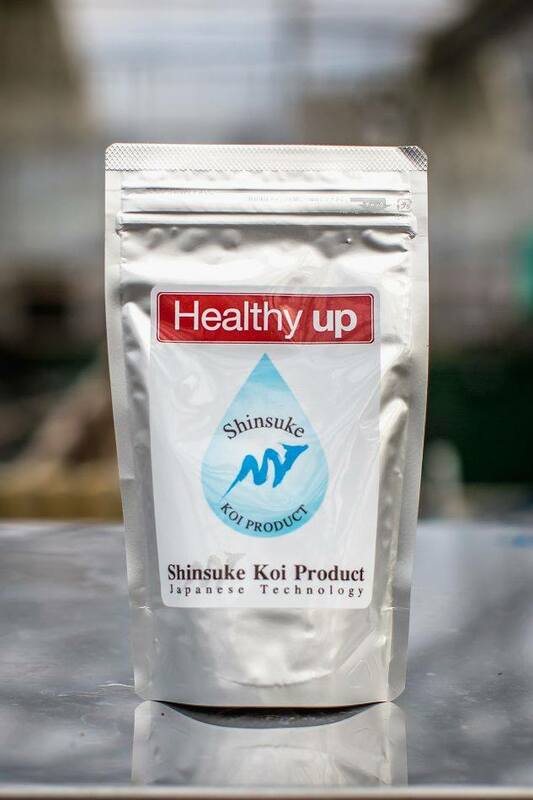 In order for these essential bacteria to thrive, you need exceptional filtration which is where Shinsuke’s Bio Sponge can help. 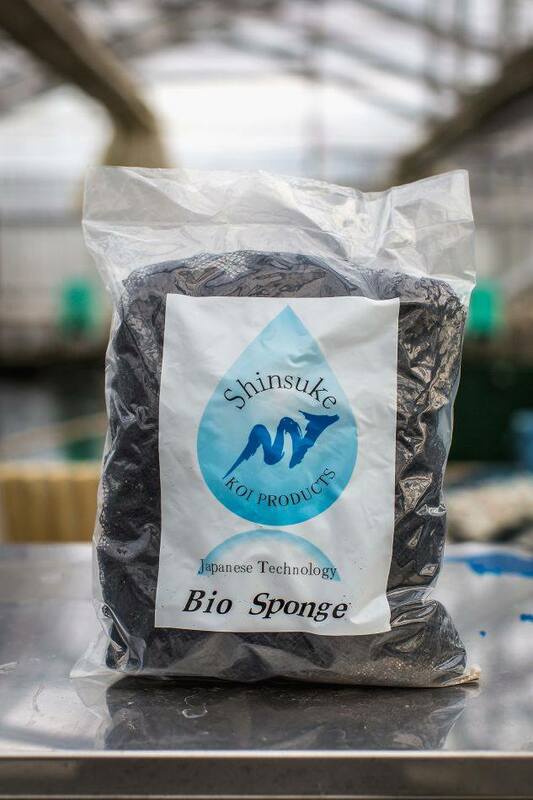 By creating a final stage filter, or even replacing the last mats in an existing filter, with Shinsuke’s Bio Sponge, you’ll be increasing the quantity and retention of these bacteria thanks to Bio Sponge’s built-in BioFilm which allows bacteria to flourish. The right balance of vitamins and minerals is vital to health, and koi are no different. Include Shinsuke’s Healthy Up to maximize the life and beauty of your koi. Healthy Up’s blend of vitamins, minerals, and “functional foods”, when added to your koi’s current diet, improves koi metabolism, circulation, immune system, and color. The mud ponds of Japan are famous for growing koi with exceptional color and health. 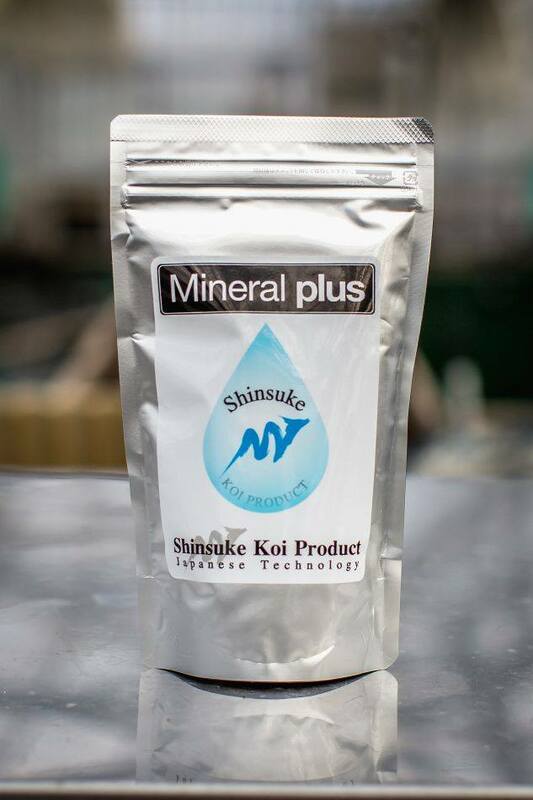 Now, hobbyists around the world can bring the qualities of those famed ponds to their own backyards with Shinsuke’s Mineral Plus. Shinsuke has formulated a mineral blend which improves koi immune systems and pond health, bringing out the color and beauty of your koi. Simply add Mineral Plus 2-4 times a month to bring the benefits of Japanese mud ponds to your own pond. Copyright © Shinsuke Co.,LTD. All Rights Reserved.